Thank You Catherine. I will order some rue from you but I will take a Hyssop bath in the meantime. I asked if I was suppose to do the hyssop bath for 2 days because there is enough in the little bag of hyssop that I purchased for about 2 days and I have already had one hyssop bath a few hours ago. I actually have to walk to the crossroads to dispose of the first bath's water but I plan to do that tomorrow morning. So my question was- am I supposed to take the Hyssop bath for 2 days in a row? (so that I end up finishing all of the hyssop in the little bag). One bath before you start a spell and one bath when you have finished the spell. Hyssop is for forgiveness so, if you're doing negative work, then this is what you do with the hyssop. So I wasn't doing any negative works so I guess I am finished. I think I will do a 13-Herb bath now because of the Rue in it. Hello !!! Good people Good morning !Please I want to know which day of the week is best to start Hyssop bath.my order just arrive today.But I'm curious to know if there is any specific day of the week to start the bath. ((b)can i use the sea salt and rosemary leaf I have in my kitchen and add to Hyssop. .because for me it is my first time of doing herb bath. I live in a country where I don't know where to get spring water and even difficult to get rain water. Just remember, it is ALWAYS a good idea to cleanse with hyssop after performing negative spells! I don't have a bathtub, and from what I understand this bath is meant to be used to 'wash' away as opposed to staying in it to soak. Is it alright then, if I use a pail to contain the infusion of hyssop and rue and a small bucket to pour the j fusion over me to wash away any negativity, etc? So.... probably a dumb question. But I was told to cleanse myself with Hyssop tea. I did some reversing work tonight so I felt like it was a good opportunity to do that. I made the tea and drank about half of it (with honey and lemon) before I was looking online for how else to use it and realized I'm supposed to put the tea in the bath or a floor wash, not necessarily drink it. Boy, I wish I had seen that beforehand, I am not tea person and it was awful haha. Anyway so I still have half this mug of tea left, could I use it in my bath in the morning? It has honey and lemon in it is my only concern. Thanks! 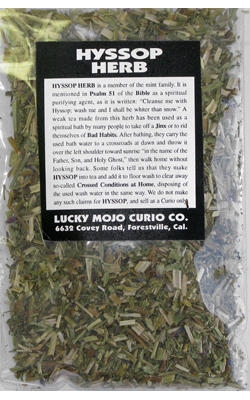 Some people do drink a little hyssop tea as part of spiritual bathing with hyssop, to clean inside as well as outside. You didn't hurt anything by drinking it. I'd say to mix up a new batch of herb tea and use that in your bath if you're worried about getting sticky. Can someone kindly post the entirety, or portion of the Psalm required during the Hyssop cleansing bath. I have been looking for it in this forum and can't seem to find it. Thanks in advance. Hi, I thought I read somewhere in the forum about taking a hyssop bath but through your shower head. I don't understand. Do u attach a cloth with the herbs to the showerhead for the water to flow through? Like an oversized tea bag around the shower head? Also, if I can't​ dispose of the remains at the same Cross roads, and I shouldn't be going through the crossroads ever again....Where am I taking this water? There's no way I'm taking the bath at dawn and taking it to a crossroads I'm never using again before sunrise, on the same morning. Also, I've read so many things about when to take the bath. I started my work last night. Before and afterwards, blessed myself with church holy water, head to toe. The thing about reading psalm 51 and taking the bath is that I feel like, if I read that and continue doing negative work, why should God forgive me? Like, I wouldn't hit someone, apologize, and do it again the next day. What I mean is, if I'm repeating the behavior, I feel like I shouldn't recite the psalm until I'm done. I know I'm asking for a lot of clarification, and I've read a lot in this forum. But that's why I'm confused. There are people that say these aren't rules they're guidelines. Then it's, they're tradition for a reason. So...I just need to know. I don't think attaching a tea bag filled with herbs to the shower head would work for taking a hyssop bath. Mainly because you want to brew the hyssop into a tea that you then dilute with water to use as the bath. Water constantly flowing through a teabag is hardly going to get any of that hyssop essence on you. So, brew the hyssop into a tea on the stove by boiling water, adding the hyssop, turning off the stove, and letting the hyssop steep. Strain out the herbs, pour the tea into a big bowl or pail, then add water to it to get it a comfortable bathing temperature. Take the big bowl into the shower stall with you, and use a smaller cup to pour it over your head. You can wait to take the whole hyssop bath shebang until after you're completely done with your heavy work, then take the water to the crossroads. If you want to wash up while the work is going, you can just wash your hands, and save the big wash for the end. Thank you, Sister Jean, for clarifying. I'm still unsure about the crossroads situation though. If it has to be a crossroads I won't use for ritual again, or one I won't drive through again, it has to be far from my home and somewhere I just wouldn't naturally pass. I've read on here that you can go to the crossroads by foot, so I have two that I can do that to but I drive through them daily. Can a crossroad be in a nature preserve where four trails meet? Or a cemetery where four driveway roads meet? Coz there are cemetery's and trails I won't go through again. Sorry, just want to be absolutely sure I don't drive through my energy that I just got rid of n bring it to work or home. Just to add to my previous question, how about a four way stop in a random neighborhood? Literally any other crossroads that's not a main intersection is basically what I'm asking. Coz everywhere I go is so close, I never take a freeway. And all the major crossroads around me, I travel through from time to time. Also, I prefer a crossroad that you won't be passing again. That's exactly what I needed to know. thank you so much Miss Aida. I ordered a white sage smudge stick, hyssop for the bath and uncrossing and van van candles. Trying to change energy and luck. In what order do I do them? I was thinking hyssop bath, then smudge my house, burn the uncrossing candle first and then the van van. Also, if I cannot toss the bath water at the crossroads, what is another acceptable disposal of it? You would use hyssop in a bath to cleanse yourself after performing negative work, such as break up spellwork. This would be done immediately after performing those spells. 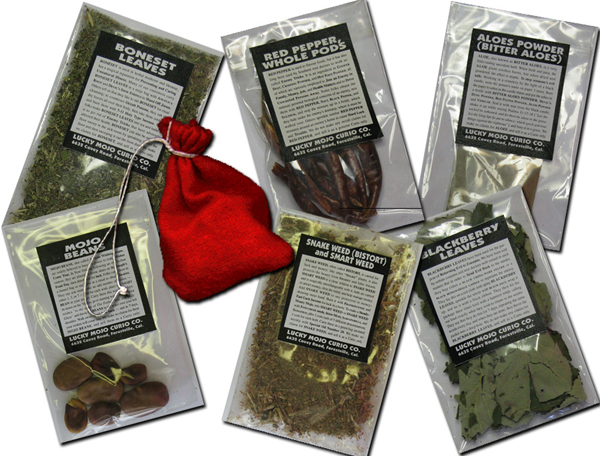 Uncrossing products are used to remove any kind of jinx or curse that someone else has thrown at you. If you believe this may be the case, then use these products immediately. If you want to cleanse your home, which would be a good idea if you think you are in any way jinxed, I suggest a thorough cleansing with Chinese Wash. Use it on your floors and walls from the back of your home and out the front door. Then put up protection to keep any negative energy from finding its way back to you. You could then light your smudge stick and Van Van candles periodically to keep your home free of spiritual interference. I never quite understand why people say they can't dispose or deploy at a crossroads, when they are plentiful in even the most remote locations. However, if you have an issue with them, then you can dispose of your bathwater in running water. Thank you! I am keeping my grandbaby right now and she sleeps with me, so sometimes even getting up before dawn or driving anywhere can be a challenge! I may see if there is a crossroads or path in my backyard that I can sneak out to. If not I can deploy maybe at a later time? I appreciate your feedback. Thanks for the clarification. You want to dispose of the water as soon as possible, so hopefully you can find an appropriate crossroads (a path is perfectly fine) that lets you do that. Quick couple of questions about hyssop baths. 1) Can muslin sacks used to make bath be reused and if so how should they be cleansed between uses? 2) Does it matter the time of day the bath is taken? I have read some things that said before sunrise, but wasn't sure if it was a necessity or they could also be done at night. Thanks for any and all info. 2) For the Hyssop bath, it wouldn't have to be in the morning because we can't get up early, perform our negative spells and then bathe before sunrise! Although it is highly recommended to bath before sunrise, I personally always make an exception for hyssop. Thank you Miss Aida, good information to know! I have read differing opinions on whether the water should be thrown east or west following the bath. Which direction is best for cleansing? Question... Can I use drops Hyssop oil in my, shampoo, hair cream, moisturizer... To keep me clean? I find my self every now and than performing some sort of negative work... I would like to keep my self clean Always! Thanks in advance fr the answers! That's thinking out of the box and it's brilliant! Well, thanks!! I live with persons that are not very aproving of hoodoo, and on top of that... I don't have a bath in my home now. So I have to find alternative options for a few things. I thought that was a good idea! So glad you liked it and more than happy to share here so other people can use it as well! I had read on here somewhere about just cleansing hands during the process of a ritual. Could I just steep some hyssop and keep it on hand through out the 5 to 7 days that i burn my candle and just use it on my hands after I'm done each day? And should I keep the hyssop from using on my hands to combine with the hyssop when I take my bath at the end of my work to dump at the crossroads? And one last thought, would it be beneficial to dump the water at a crossroads that the person I did the spell on will cross through? Yes, you could wash your hands with hyssop this way. I would save a small amount from the wash to take to the crossroads, and if you need to save it up over a series of days to dump the water all at once, I think that's fine. Make sure to keep the tea in the fridge. I don't think it matters if you dump the water at a crossroads that the person will walk through because the hyssop tea isn't designed to harm them; it's designed to spiritually cleanse you. I just don't think it would do anything to your target. Anytime I have ever lit a black candle in my life whether its break up, banish etc I have always gotten into a car accident in the days that follow. And yes I wear fiery wall of protection first & bathe with hyssop immediately after. I always smoke out my house & I read psalm 51. This only happens with black candles. I want to know if I should be using the hyssop bath more often or if I can use my LM hyssop oil to dress a candle and burn it on myself each day? I am sorry to hear that is happening to you. The bath is the traditional way to work, as you are ritually cleansing yourself of your sins and seeking forgiveness. You could supplement that by burning candles dressed in Hyssop Oil, but I wouldn't use this as a substitution for bathing. Do both. Thank you miss Athena I will do both! Should I be bathing with hyssop daily until the 7 day candle is done? Thank you Sister Jean for your help I wouldn't have thought to keep it in the fridge but I guess it would be perishable as well. I see/have read about gambler's hand washes before going out to play, but may this same technique be used for any herbal brewed combination? Such as having a batch of Hyssop water as a hand wash to cleanse between candle works? Yes you could do that, however I wouldn't expect a hyssop hand wash to take the place of a full-body bath. But between burnings of, say, a jinx candle, a hyssop hand wash wouldn't be a bad idea. You could bathe daily but it's not necessary. Once you complete the spell, make sure you do take that bath and throw some of the water at a crossroads. Can I add a few drops of hyssop oil to the bath water and cleanse myself downwards while bathing to get rid of negativity and cleanse myself? Yes you could do that, but it would be stronger if you added the oil to brewed hyssop tea, not just plain bathwater. 1) Am I suppose to just add the herbs to my bath water and take a bath as usual? 2) Since the work I'm performing consists of me doing the work for 7 days, do I use the Hyssop bath on the 7th day after completion or the 8th day? Brew the hyssop into a tea on the stove by boiling water, adding the hyssop, turning off the stove, and letting the hyssop steep. Strain out the herbs, pour the tea into a big bowl or pail, then add water to it to get it a comfortable bathing temperature. Take the big bowl into the shower stall with you, and use a smaller cup to pour it over your head. See, it's not like a "regular" bath. And I would just take your hyssop bath at dawn on the eighth day. You don't need to take all your water to the crossroads, just a cupful. Can I use hyssop crystals to cleanse myself from my negative or sad emotions? Should I take a small cup of bath water and dispose at a crossroad afterwards? Can hyssop bath crystals be added to the floor wash or chinese wash to cleanse off all negativity too? Hyssop is a great herb to remove negative energy. The bath crystal are perfect for this. You want to walk through two lit candles with a bowl of bath-water, and take it to the crossroads. Throw it East, toward Sunrise and don't look back. Just a question regarding the bath water after bathing with hyssop. I would be wanting to do the bath soon after finishing the cursing work, which is not likely to be in the early hours of the morning. So I just hold onto a bit of the bath water and dispose at the crossroads the next morning? Yes take the bath after the work which it seems you will be doing at nighttime, then wake up in the am and toss it as the sunrises. I have a question. I know that after taking a hyssop bath that you take it to the crossroads. But I was wondering if one was to take it the river would it have the same effect? I was just curious because of the significance of rivers and sending things away. Thank you for you guys time and patience as always! Let's start with what you "know." You "know" that "after taking a hyssop bath that you take it to the crossroads." Funny, i've been doing this work for more than 50 years, and i don't "know" that. It is not even the most common form of disposal of such a bath that i was taught. Not even the second-most common. The key to the Hyssop Bath is the removal of sin. For this reason we recite Psalms 51 when taking such a bath. "Throw the water to the West to remove your sin from you." That's what i "know." As the Sun sets down in the West, let the troubles and ill conditions and the wrongs that you have done fade like the dusk and be gone and forgiven. Of course, lots of people nowadays don't have a yard. They live "in the Matrix" and must make do some other way. So now folks take a cup of the water and carry it out to the street and throw it Westward. A river disposal is usually undertaken to move someone or something out and down, to show some power over the person or condition. You are harnessing your thought to Nature, which sweeps the spell remnants down stream. Of course, not everyone has a river nearby, but if you do, and if you don;t have a yard or a street gutter, or if you just like being fancy about it, you sure could take a Hyssop Bath to a river and throw it West, because water-into-water is a nice idea. Crossroads disposal scatters the material far and wide. You are harnessing your thought to the controlled chaos and multi-directional changes found at the crossroads. I use crossroads disposal to spread the news, dispel evil harmlessly, and see that my influence is transmitted far and wide. You could take a Hyssop Bath to a crossroads and throw it West. Folk magic is a lot easier to practice if you consider its roots rather than trying to fit it to a set of rules. I was saying I know because it was mentioned here plenty of times that it should be taken to the crossroads. I'm aware I don't know everything and I wasn't saying that I did. I was just curious to why it had always been mentioned to always the crossroads. There is a lot of great information in this thread. I learned to do a hyssop bath through a more ceremonial tradition. I have had great results with it and the idea that hyssop 'removes sin' really fits into what I've experienced. I am interested in adding salt and rue to the mix and seeing how that goes. I also use a modified/redacted version of Psalm 51 in latin, but think I will just go with Psalm 51. 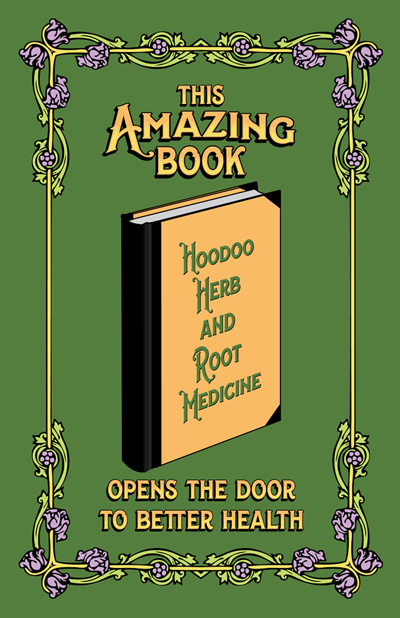 Having read the last couple weeks about the history of Hoodoo and how it comes from largely African tradition, but intermixed with some European influences, any ideas how far back the idea of the hyssop bath goes? 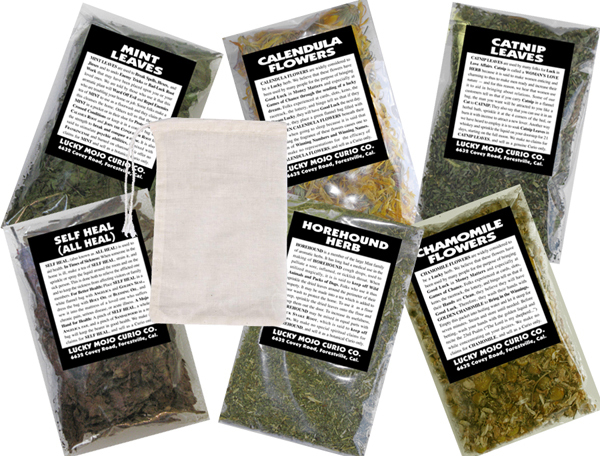 Does this all originate from medieval grimoires and then modified by the use of a sachet with a herb? Psalms 51, which mentions Hyssop secifically, goes back to ancient Jewish custom. But that is itself a call-back to the Book of Exodus, written by Moses. This is the nstruction for the Passover -- when the 10th Plague was sent to kill the first-born of the Egyptians, and the Jews were passed over by the Angel of Death. The Angel knew which homes to avoid by a mark on the door made with blood and applied with a bundle of Hyssop. 22 And ye shall take a bunch of hyssop, and dip it in the blood [of a scarified lamb] that is in the bason, and strike the lintel and the two side posts with the blood that is in the bason; and none of you shall go out at the door of his house until the morning. I would like to check that book out, but I am about to head into the bush for 3 months for work. But when I'm back, I plan on ordering a bunch of stuff from you. I will keep This Amazing Book in mind. I love the name! Just a further thought along these lines, doing this type of work while I'm at camp... There are no tubs, we have a shower trailer. But there is always streams of fresh water available. So would filling a bucket or something with fresh water and dipping the sachet of hyssop (or whatever) into it and washing myself but a suitable substitute. Looking at the page on Spiritual Baths and what not, it seems like that would fit somewhat into the tradition. Maybe making a wash is better though? Anyhow just thoughts. Gotta say, your website is amazing. There is so much to read, I found it at the right time. It'll give me a lot to chew on over the summer. Steep the hyssop into a tea and use this to pour over yourself while reciting Psalm 51 ("Cleanse me with hyssop, and I will be clean; wash me, and I will be whiter than snow."). You can do this in the shower trailer, and collect some of the water into a cup and throw it at a crossroads.